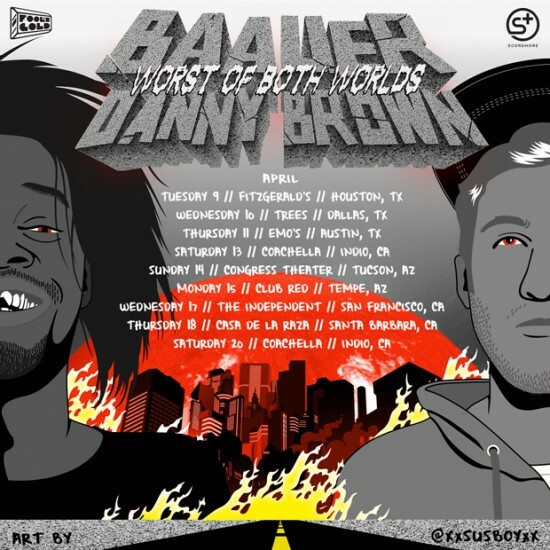 Detroit’s Danny Brown and trap/bass producer (and the guy behind “Harlem Shake”) Baauer just unveiled the dates for their upcoming Worst Of Both Worlds tour. Didn’t see that one coming, did you? Hit the jump to check out when Danny and Baauer will be in your city. Spotted at Fader.